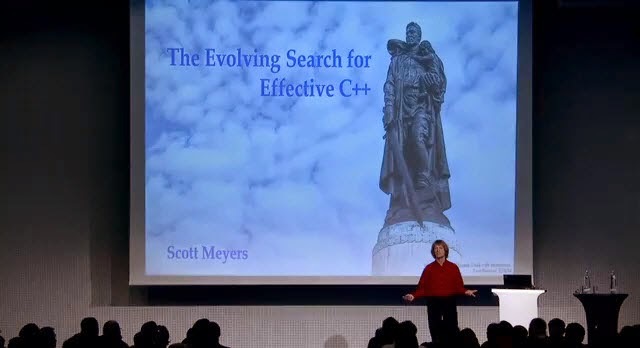 The video of my keynote address at Meeting C++ 2014 on December 5 has just been posted to the Meeting C++ Channel at YouTube. I was given a long time slot (two hours), so I addressed two rather different topics, both based on my work of the past quarter century identifying and promulgating guidelines for effective C++ programming. The meat of the first topic is an explanation of how one of the guidelines in Effective Modern C++--"Consider emplacement instead of insertion"--came to have the form that it does. It has a lot of hard-core C++ content, though I hope that the secondary lesson about the importance of seeking feedback on prospective programming guidance also comes through. This part of the talk runs about an hour. The second topic is about disseminating information in written and presentation form, and it's not about C++ at all. Rather, it's about issues I think authors, publishers, and trainers need to consider when packaging technical information for consumption in an age where writing is in print or digital form and where the reach of a technical talk is often much greater in recorded form than through a live presentation. This part of the video is about 30 minutes long. At the end of the talk is some 20 minutes of Q&A. I worked hard preparing this presentation, and I'm pleased with the way it came out and with the material I covered. I hope you enjoy it. Special Sale: Digital Bundle of EC++, MEC++, and ESTL for $40! 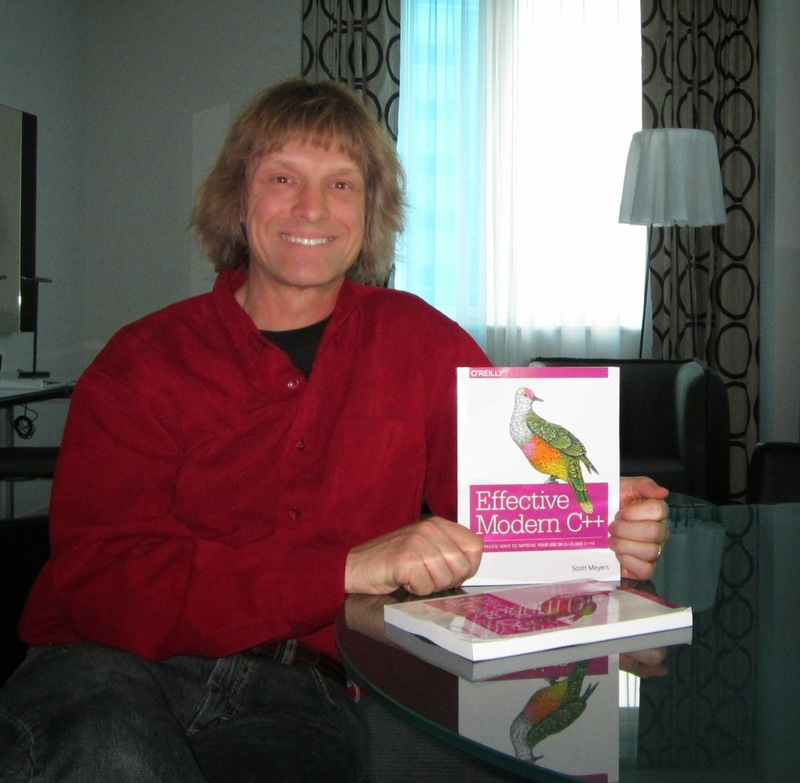 Addison-Wesley has chosen my Effective C++ Digital Collection (i.e., digital versions of Effective C++, Third Edition, More Effective C++, and Effective STL) as their December 4 ebook Deal of the Day. The bundle, which normally sells for $95.99, has been marked down to $39.99. At only about $13 per book, I think that's a very attractive price.